Super Eagles’ Home Boys Udoh, Ozornwafor, Effiong Ready For Seychelles, Egypt Tests – Royal Times of Nigeria. 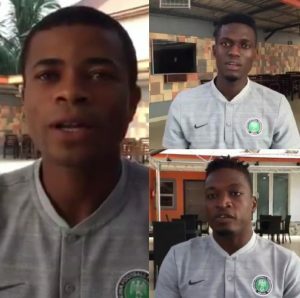 Super Eagles home-based boys, Ikouwen Udoh, from Enyimba football club, Valentine Ozornwafor, also from Enyimba and Ndifreke Effiong from Akwa United are happy with their maiden invitation to the team and are looking forward to featuring in the upcoming games against Seychelles and Egypt. Ozornwafor who impressed with Nigeria’s Under-twenty side, the Flying Eagles at the Under-twenty Africa Cup of Nations in Niger in February was part of the original list released by Super Eagles head coach Gernot Rohr. Udoh and Effiong were later called up as replacements for the injured duo, Samuel Kalu and Ola Aina. 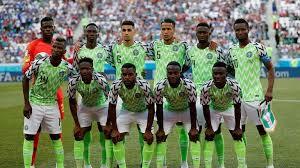 The Super Eagles have already booked a place at Egypt 2019 Africa Cup of Nations, and are looking to end the qualification series on a high note with a fourth win. Friday’s clash against the Pirates of Seychelles will be used as one of the three-time African champions’ build-up matches for the tournament in Egypt. The first leg ended 3-0 with Odion Ighalo, Chidozie Awaziem and Ahmed Musa finding the net at Stade Linite, Victoria. Nigeria will take on Egypt in a friendly at the same venue four days later – on Tuesday, March 26, 2019.